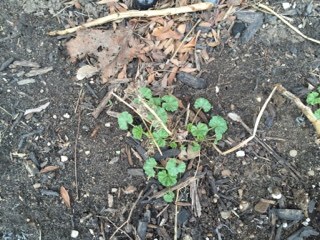 Is this a weed or geranium seedling?? Thread: Is this a weed or geranium seedling?? hello, ....i Wonder, did you find out what is it ? I sprayed my grass with Weed B Gone last year and it killed most of the creeping Charlie and clovers which my friend said were weeds too. I sprayed twice and next to no creeping charlies. As for in my garden I still yank them out and also along the fence as my neighbour has lots of them. mulock and samm07 like this. I also has this lovely plant in my lawn. This is mallow plant. From your images, your weed sounds like creeping charlie. My lawn is full of it. Also, my garden beds if I'm not careful. It mows nicely, though, and I like flowers in my lawn. 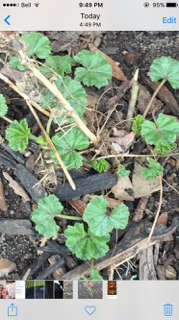 This is growing in my garden where i had geraniums last year, Is it possible my geranium seeded itself or is this just a weed? Looks like geranium to me. The plant can grow anywhere between 18 inches to 4 feet in size. There are at least 11 different varieties of geranium plants. To me, this looks like an Alpine heronsbill type of outdoor geranium shrub. I'm certain that it's a mallow plant. I agree. There are several types and some of them are quite aggressive. If you are looking to get rid of it - you might want to digit right out.